The Hitman video game by Danish developer IO Interactive has been one of the big surprises of the year, with its great sandbox gameplay that allows players to complete the game’s missions in so many different ways. Playing as the bold antihero and professional killer known as Agent 47, players get to take down targets all over the world, from a high-class Paris fashion show in the game’s first episode to a sunny Italian coastal town in the second, and the northern African city of Marrakesh in Hitman’s recently released episode 3. And while each episode features two major targets to deal with (for instance, bioengineer Silvio Caruso and his lab partner Francesca de Santis in the second episode) the game also features what’s known as “Elusive Targets”. Based on my personal attempt with this contract in the Hitman video game, I can say that players should look for Smythe in the area around the gazebo in the palace gardens, next to the open field where Novikov’s helicopter in parked. Those who have completed some of the challenges in the Paris mission will also know this is the area where Novikov’s meeting with Decker takes place… There is one gate leading to this area guarded by two CICADA bodyguards, while the other two are locked. 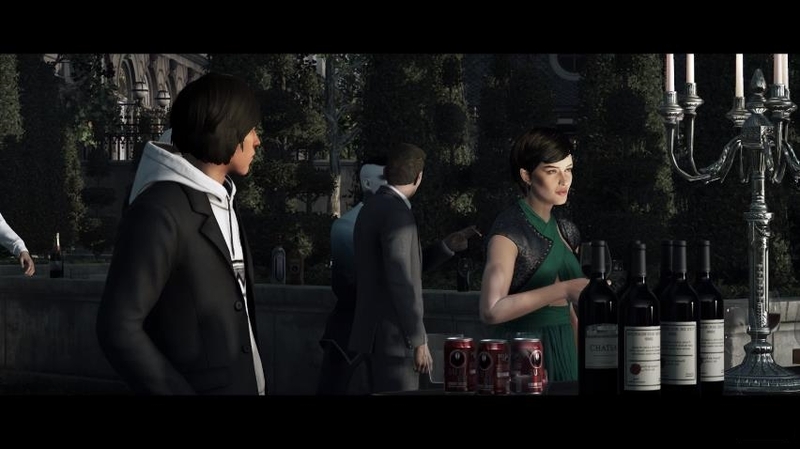 Getting a bodyguard disguise would be the best bet, as this allows you to get past the gate and enter the Elusive Target’s private party, although you must be careful inside as a couple of bodyguards will recognize Agent 47 is not one of them… Taking a lockpick with you is a good idea, as unlocking the gate further from the palace (the one close to the river) will offer a escape route once “The Sensation” has been dealt with. Another option would be to use a sniper rifle, firing from the large balcony on the palace’s top floor, although this is not the approach I took myself. What is clear though, is that Hitman’s Elusive Target contracts are exciting, tense affairs, and if the game’s future episodes manage to be on a par with what’s been offered so far (particularly the splendid murder sandbox Sapienza was) then there is no doubt that this Hitman game could be a solid candidate for game of the year.